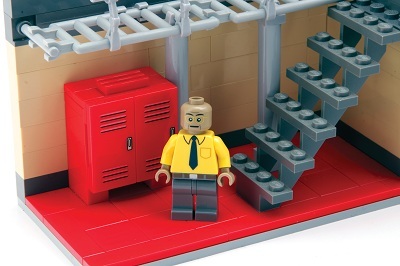 For $250 you can net yourself Breaking Bad meth superlab made out of Legos. Breaking Bad made its much anticipated return last weekend with the first episode of its final season. 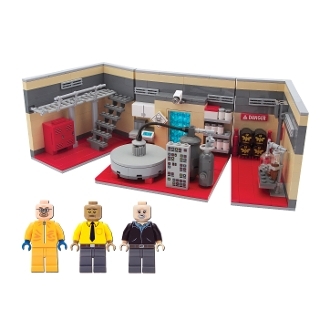 That in mind, what better way to celebrate than by dropping $250 on a Lego play set that recreates the meth superlab that Walter White worked in while he was working for drug lord Gustavo Fring. From the pictures it doesn't look like there's any miniatures box cutters included, but the biggest joy of Lego is, of course, using your imagination. Obviously, given the actual LEGO brand's dedication to keeping its products family friendly, this is not something you'll be picking up at Toys R' Us. 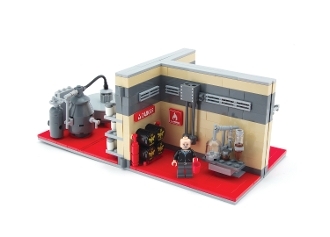 The meth lab play set, custom built by the folks at Citizen Brick, is about as unofficial as they come. Even so, it's pretty well impossible to deny its "sheer awesomeness," as the product page puts it. 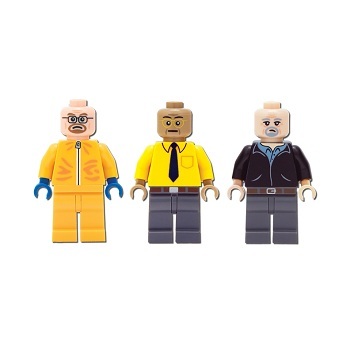 Honestly, we might consider paying $250 just for the set's exclusive mini-figures which includes Walter, Gus and Mike. There is, sadly, no Lego Jesse to be found, but we'll forgive that because of how much we love the sleepy look on mini-Mike's face. While some have already explored how potentially great a LEGO Breaking Bad videogame could be, what really want to see are more custom projects like this. The heart practically skips a beat to think of a Tuco's Office play set. We're putting it out there Citizen Brick, you give us miniature mercury fulminate and we'll give you money, even if we need to deal meth to get it.